Detailing the physical features, habits, territorial reach and other identifying qualities of the Carolina Locust. The Carolina Locust is a large herbivore that can decimate swaths of commercial crops, leaving economic ruin in its wake. The Carolina Locust is a type of Short-horned Grasshopper and can be identified by its short antennae. A rough-looking exterior is greenish-brown with speckles of dark along its wings. Carolina Locusts produce noticeable sounds, but only when in flight. It is a decent flyer despite its erratic flight paths. They are large and may look like a heavy, strange butterfly when flying. As with most insect species, the female Carolina Grasshopper is larger than the male. Her coloring is generally on the darker side with the occasional yellow flourish. Both genders have eyes that are colored like the rest of their exterior. 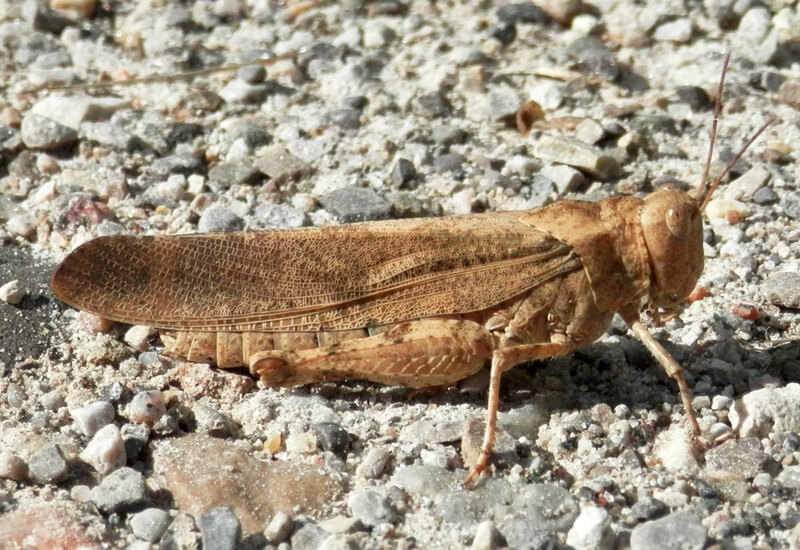 Found throughout North America, the Carolina Locust is generally regarded as the least destructive of the Locust family in the United States, but it still remains a force to be reckoned with. Like other locusts, it eats a variety of plants and grasses, even ones humans like such as clover, sunflowers, and corn. The natural habitat for this insect is in open fields and meadows, particularly in drier areas. They also thrive in more urban environments like open lots, roadsides, and quarries.